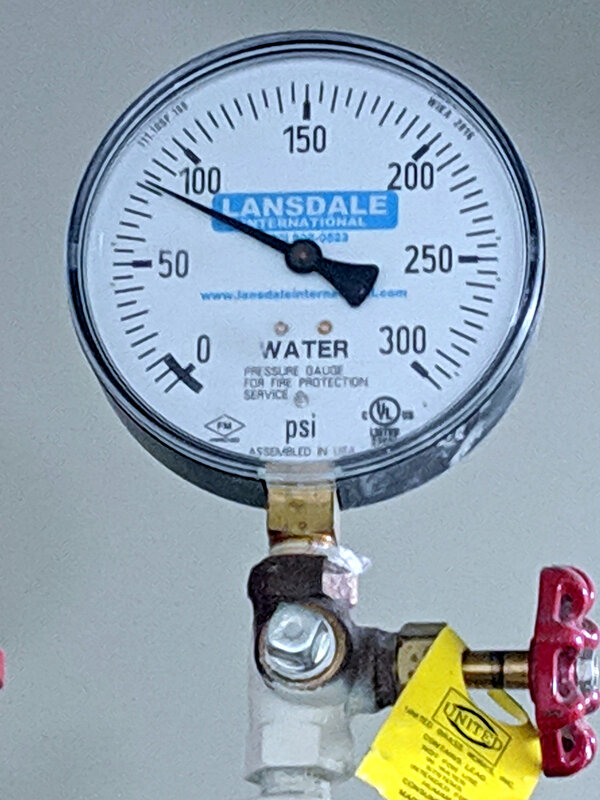 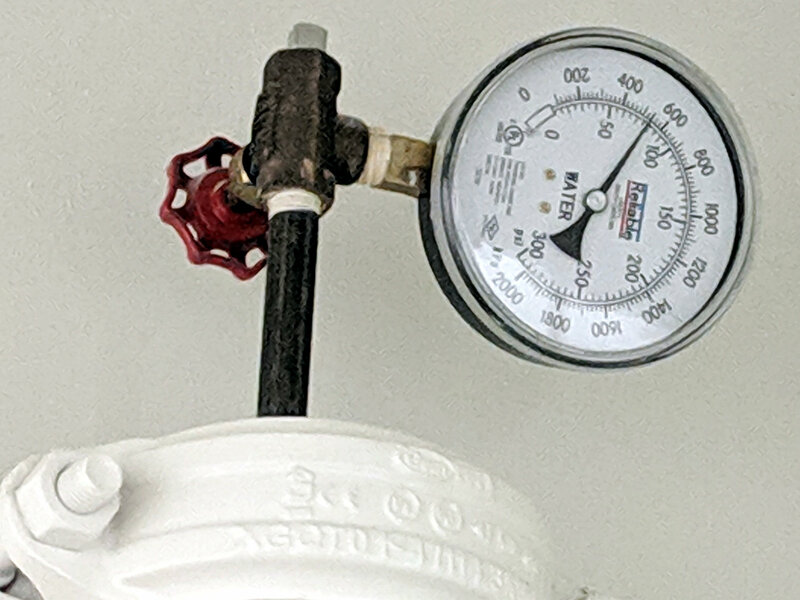 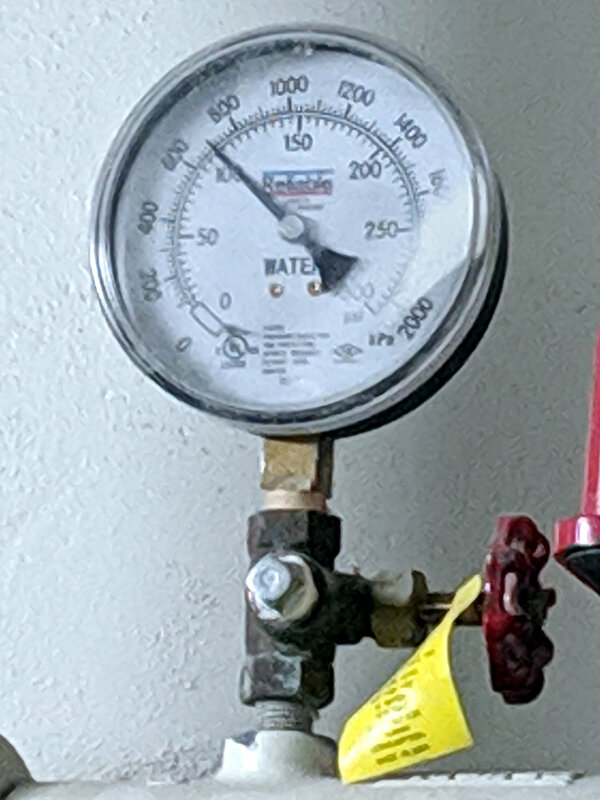 Being a sucker for infrastructure and numbers, the fire sprinkler system pressure gauges in the motel stairwell proved irresistible. 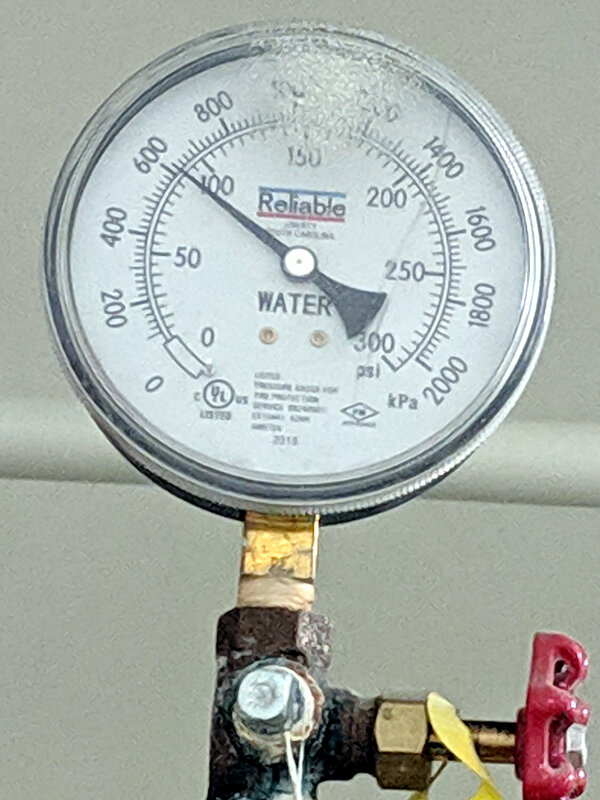 Water weighs just over 62 lb/ft³ at room temperature, which works out to 0.43 lb/in² per vertical foot. 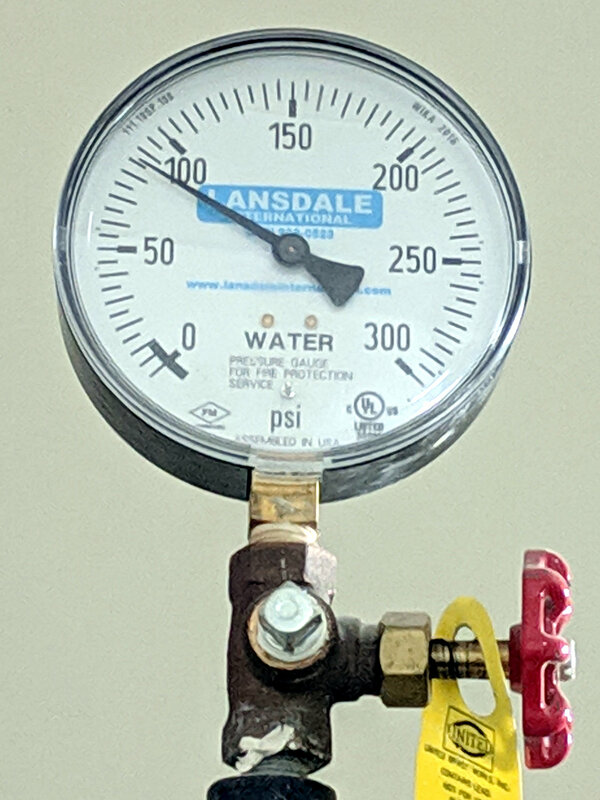 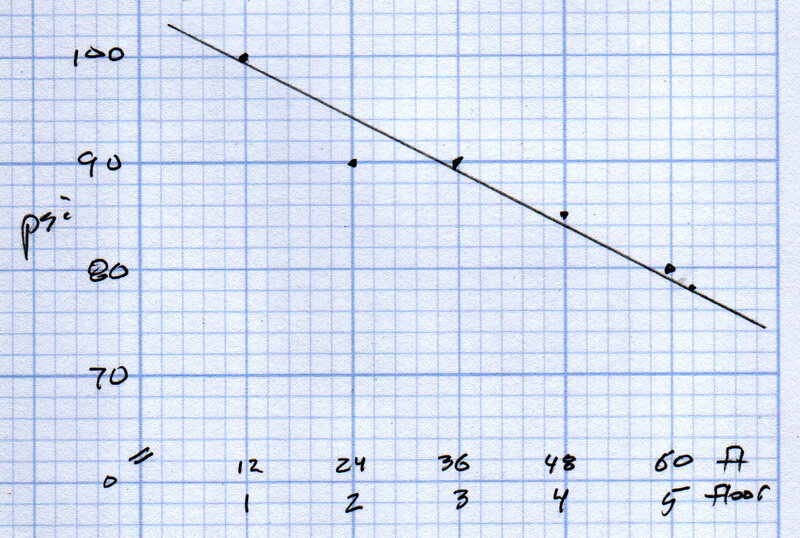 Not having packed my laser distance widget, I’ll guesstimate 12 feet and 5 psi per floor. 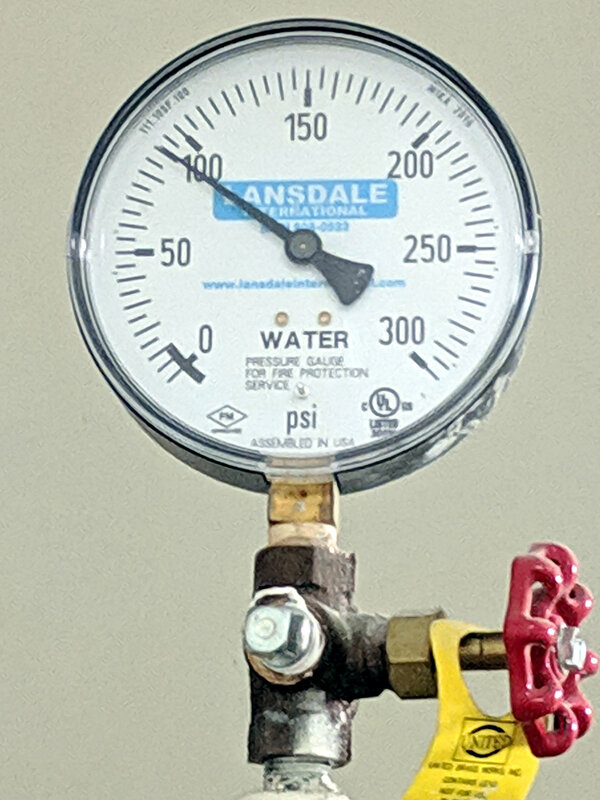 Call it 0.42 psi/ft, which is pretty close to the right answer.